“I’d like to get into yoga, but I just wish I were better at it.” The notion that one can be “good” or “bad” at yoga is misguided; with yoga there is no beginning, middle, or end. 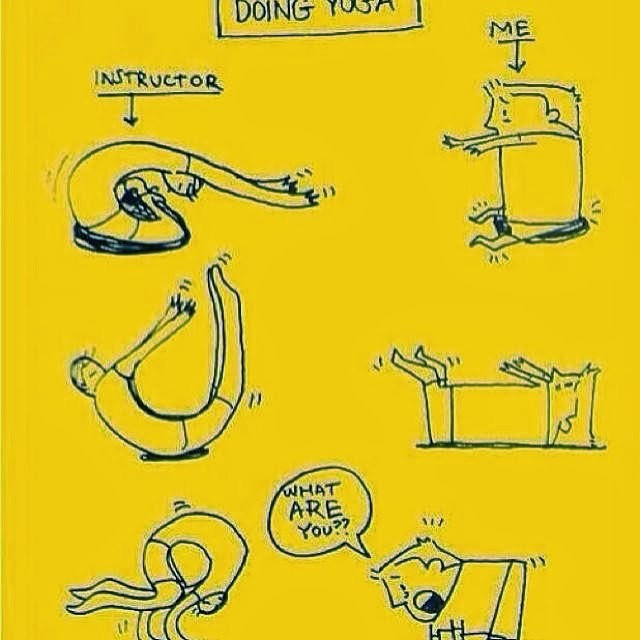 As I described in my post titled “I’m not good at yoga“, we all start wherever we are. There is no destination; we don’t go into a pose with the intention of stretching so that we get to a “place” where there is no more discomforting sensation. In any given yoga class, no matter how flexible one is, everyone in the class is feeling some sensation. There is no “there”. The intention is not the destination, but the journey itself. When we explore the depths of any particular yoga pose, we are all on a journey, even though our bodies manifest themselves differently in that journey. Some people don’t need to go as far to feel the benefits and sensation of the pose; others do. It’s that simple. The truth is, many “advanced” poses don’t actually make people more open or flexible. Often the more complex poses are ways to contort the body by combining several poses into one, which looks impressive but doesn’t mean that people who can get into such poses are “better at yoga” than those who can’t. For example, an arm balance like Eka Pada Galavasana (One-Legged Balance) combines the arm strength and position exhibited in Chaturanga with the ability to balance the body’s weight with the arms as in Bakasana, and external rotation of the hip as in Pigeon. Each of these component poses can be practiced separately to build strength and flexibility where needed, and arguably benefit the practitioner more than the combined pose because they can be held longer, and more and better attention can be paid to the areas of the body that need it the most. It’s actually much easier to focus the mind in poses like Eka Pada Galavasana because it demands so much attention, whereas in Savasana the mind wanders more freely and it can be harder to keep the mind quiet. In this sense, Savasana is more of an “advanced” pose than Eka Pada Galavasana. The biggest challenge most people have with practicing yoga is letting go of their ego and judgment of themselves and others. Finding inner stillness so the inner critic stops judging you, now that’s “advanced yoga”. Want a job? Act as if you already have the job.